On the Twinbrook Estate, Belfast, 2nd October 1972, a British Army undercover operation called the Four Square Laundry Service was ambushed by the Provisional IRA. The fictitious laundry service toured Catholic areas touting for custom at cut-price rates. The clothes collected could then be subjected to forensic tests and returned the following week. Regular runs would also provide an opportunity for observation of particular suspect houses. Source: ‘The Guineapigs‘ by John McGuffin (1974, 1981) Chapter 9: Down on the Killing Floor. Paul Sullivan uses this one incident during the Troubles in order to investigate a wider set of complex issues, in particular the military urban planning tactics that were developed and deployed in Northern Ireland in the early 1970′s, and the possibility that these tactics have subsequently been transferred and continue to be used in major British cities for the purpose of control. 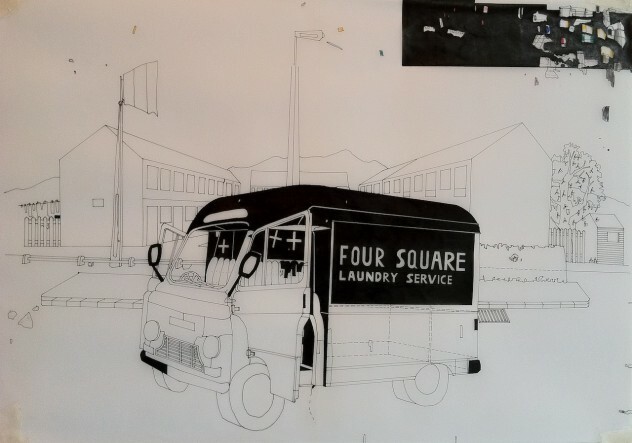 Through the use of doubling every drawing with slight variations – each one referencing either a Republican or a British version of events – the Four Square Laundry series mirror the immediate and long-term points of counter-claim evident from oppositional factions in any war situation, thus making the notion of what is truth and what is lie almost subservient to what needs to operate as myth within the cultural and media contexts of the given situation. The series also examines how the British Army successfully recruited large numbers of 1st or 2nd generation Irish catholics in Liverpool, who in turn pretty quickly found themselves back in Ireland fighting a war. In examining this issue, the drawings depict the urban environments of the British Army’s recruitment grounds and by proxy, begin to examine the reasons of how and why a relatively recent Irish diaspora would lose such a connection with their immediate past. 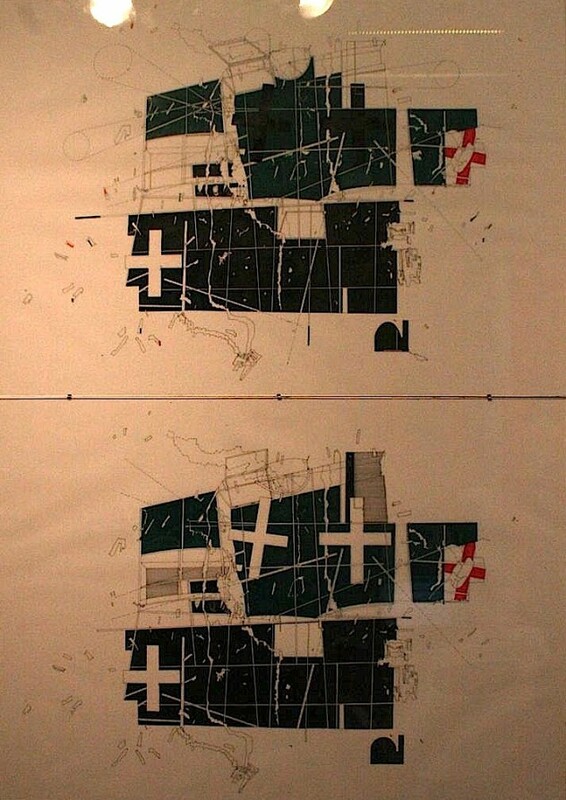 The drawings also speculate on the urban myth that the British Army built a replica Belfast housing estate in a major British City in order to recruit and train. 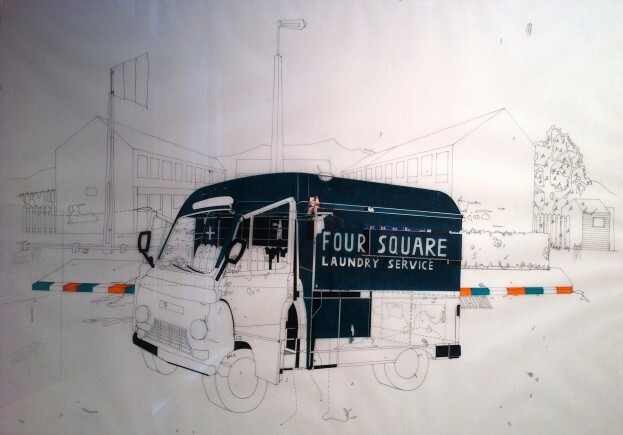 The Four Square Laundry series is part of a wider set of works that will also include a film and a publication. Paul Sullivan (1968) lives and works in Liverpool, UK. I will be presenting the Four Square Laundry project in Liverpool and Belfast and other galleries/cities in 2017 so will let you know.